Delight the steak lover in your life by sending them one of our very best steak collections. 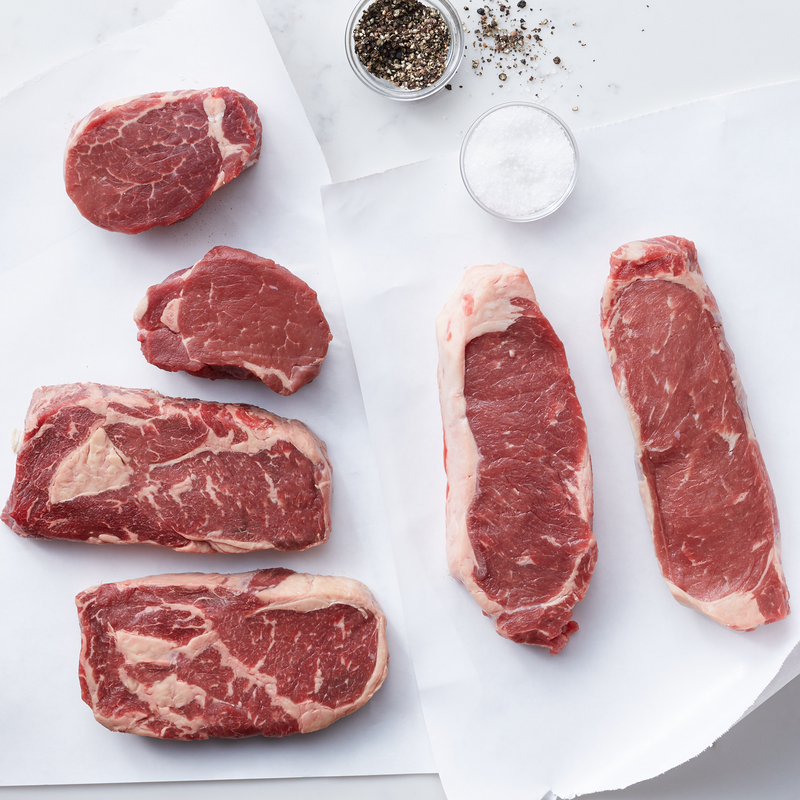 They'll love unpacking the boxes of delicious, hand trimmed steaks. 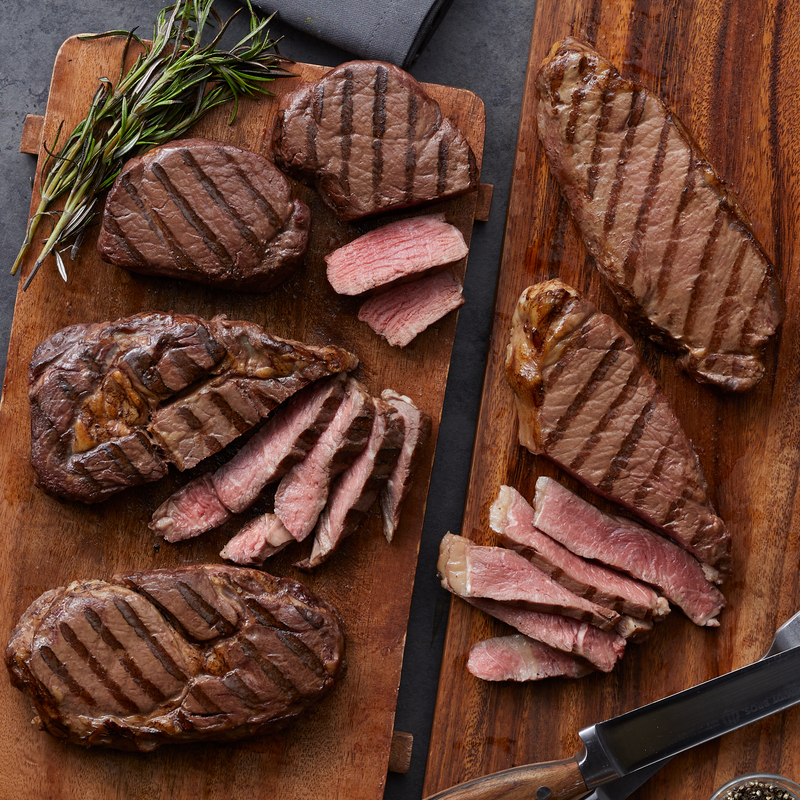 The Premium Assortment features steak that has been naturally aged up to 21 days promising an amazingly tender and flavorful dinner experience. For ensured freshness, each steak is individually vacuumed sealed and frozen. Grilled, broiled, or pan-fried, our steaks will have your friends and family thanking you for years to come. Ships frozen raw.